Are you considering liposuction to change your body shape? Our Sydney-based plastic surgeon Dr Barnouti recommends liposuction to remove unwanted fat deposits which are resistant to exercise and diet from specific areas of the body. Areas which can be sculpted include the abdomen, waist, arms, thighs, face, neck, back, buttocks, hips, knees, and ankles. To find out more about how Plastic Surgery Sydney can improve your body shape book a consultation with Dr. Barnouti in one of our three Sydney clinics. Alternatively read on to find out more about liposuction and how much it costs. Liposuction is a powerful procedure for altering body proportions. To achieve the best results, careful planning with a clear outline of the overall goals is important. If you think you might be a good candidate for liposuction because you have localised fat deposits which you’d like to get removed the best way to find out is to book a consultation with Dr. Barnouti to find out what results can be achieved with liposuction surgery in your unique case. Dr. Barnouti will take your full medical history, examine you thoroughly and discuss your goals and requirements in detail. He can then determine if you are suitable for non-surgical ‘soft’ treatments, such as ultra-shape mesotherapy, liposoft, or whether you will require minimally invasive lipo to reshape the problem areas. A soft treatment can be provided during the consultation if found to be appropriate and should you wish to proceed immediately. Lipo can take between 30 minutes and three hours depending on the complexity of the case. During the liposuction procedure the unwanted fat is first liquefied by injections of saline solution combined with local anaesthetic and a vasoconstrictor which restricts local blood flow. The surgeon then makes a tiny incision and introduces a hollow, stainless steel tube called a cannula into the deep fat layer. Working on this layer is safer than working on the superficial layer as there is less risk of injuring the skin. The surgeon pushes and pulls the tube through the fat layer and, as the cannula moves, it breaks up the fat cells, which are sucked out with a vacuum pump or syringe. What special care will I need after my liposuction procedure? Most of our liposuction patients do not require a stay in hospital but surgery involving very large areas will require general anaesthesia and an overnight stay in hospital. In all cases, a special garment must be worn for approximately 3 weeks after the liposuction procedure. Liposuction wounds heal after three or four days and reabsorbable stitches are typically used so you will not need to have the stitches taken out. Liposuction usually causes some bruising which can take up to 10 days to go down. How soon can I get back to work and regular activities after my liposuction? A minimum of 24 hours rest is recommended following liposuction and most people can go back to work and resume their usual social lives after three or four days. However, depending on the scale of your liposuction procedure, patients should expect to wait between one and three weeks before engaging in any physically demanding activities. 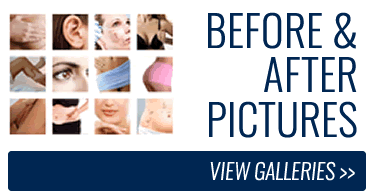 To get an idea of possible results please visit our liposuction gallery. Dr Barnouti will advise you on the best approach and expected outcome for your liposuction during your initial consultation at one of his three Sydney clinics. Contact us today to book your liposuction consultation and get a clear idea of the results and costs. Click here to book online or call us on free phone 1300 002 006 if you’re outside Sydney or 9561 0222 if you’re in the Sydney area. We look forward to meeting you and to helping you with your liposuction procedure.